According to the DGP order to the police force to strictly enforce COTPA, Tinsukia Police in Assam launched drive against those violating COTPA 2003. 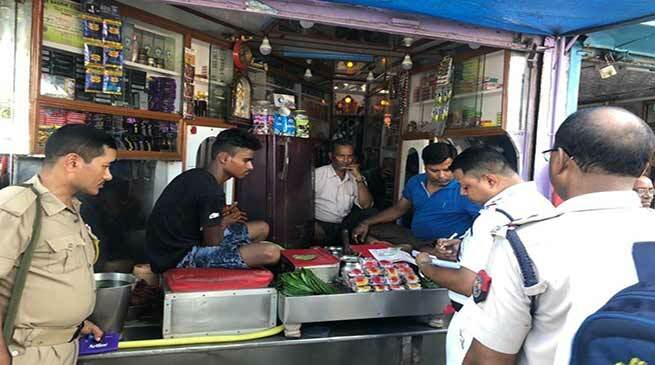 Police of Tinsukia district in Assam launched a two-day drive against those violating Cigarette and other Tobacco Products Act (COTPA) 2003.The police in its two day-drive on August 20 and 21, 2018 fined the violators and challaned them. COTPA (the Cigarettes and Other Tobacco Products Act, 2003) prohibits smoking in public places, direct/indirect advertising, sale to/by minors, sale within 100 yards of schools and mandates pictorial warnings on all tobacco packs. Director General of Police of Assam had ordered the police force to strictly enforce COTPA, as the police are the main enforcement agency for COTPA and enforcement of COTPA contributes significantly in reduction of tobacco prevalence. The drive was launched on the orders of Tinsukia Superintendent of Police (SP) Mugdhajyoti Dev Mahanta. Police personnel of police stations (Tinsukia, Makum, Margherita, Digboi, Doomdoma) in Tinsukia district were imparted training by the district SP Mahanta with technical support by Sambandh Health Foundation (SHF) and Tata Trusts. The training was to inform them about the various sections of COTPA and prepare them for the drive. It is to be mentioned that that tobacco use is the biggest reversible cause of death in Assam. In fact Assam is in the grip of Tobacco epidemic. As per Global Adult Tobacco Survey 2017, Assam has 106 lac tobacco users which is 48.3%. Of these tobacco users, cigarette users are 13.3 lacs (6.1%), Bidi users are 18.8 lacs (8.6%) and smokeless users are 91.0 lacs (41.7%). Tobacco related deaths are 34,000 per annum and the economic burden on the state is Rs 541 crores. The biggest concern is that 140 children per day start using tobacco in some form in the state. Tobacco usage in Assam at 48.3% of the adult population has become an epidemic leading to an avalanche of cases of cancer, heart disease, respiratory disease and others.